Established in 2012, Kellie Stamps features original stamp designs created by Australian-based designer Kellie Winnell. 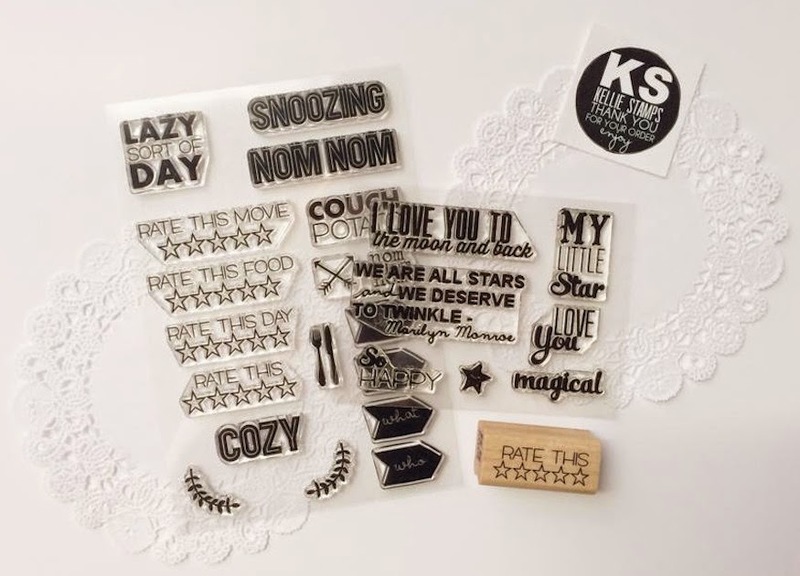 Offering clear and wood-mounted stamps, Kellie Stamps is a great source for creatives who enjoy a wide range of crafts. Kellie's blog is a great source for inspiration & a wonderful way to learn about new designs she is offering. 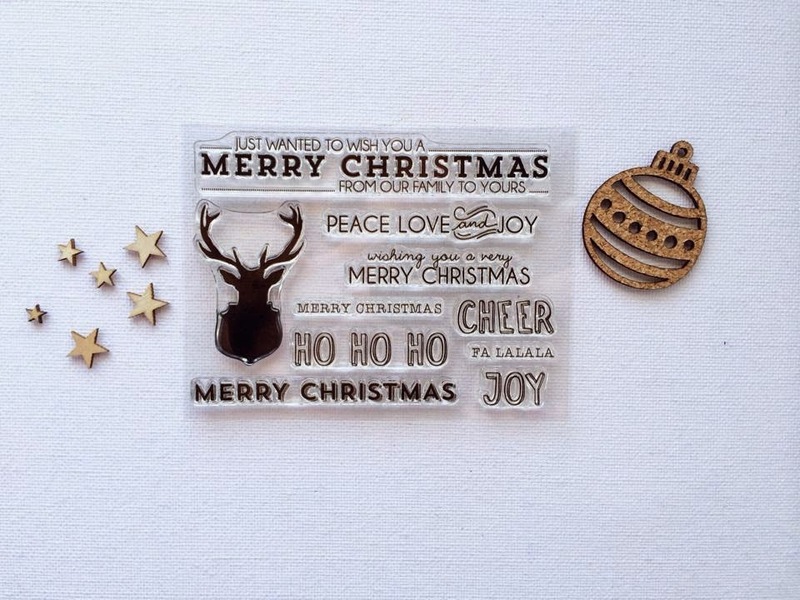 The Cheer clear stamp set (pictured) is perfect for creating holiday cards or documenting all your holiday happenings, as is the Joy clear stamp set. PRIZE: One lucky winner will receive a collection of retired stamps from Kellie Stamps (pictured above). TO ENTER: Like Kellie's Facebook page and leave a comment noting you have done so. ADDITIONAL ENTRY: Leave a comment noting your favorite type of craft to participate in (ie: scrapbooking, card making, etc.)! Giveaway ends at 6pm CST, Saturday, November 8th, 2014. I love making cards for birthdays and holidays. I've liked Kellie's Facebook page and shared the giveaway post. Thanks! my fave type of craft to participate in is any kind of papercrafting.. mostly scrapbooking! Liked your facebook page (under Liz Redman). Love the stamps and the Joy Christmas set too. I love Making cards for friends and family! I did a Like on your fb page. I like crafting w/my grandkids, especially with yarns. Lovely stamps. Thank you so much for a chance at you're giveaway! My first time here. My fav craft is cardmaking. I just started following you're facebook page. My favorite type of craft is making wreaths. My favorite type of crafting is sewing! I liked Kellie's Facebook page! I have liked Kellie on facebook for a little while now. I'm a scrapbooker who has recently started making cards for certain occasions. I jave shared with my fellow friends. Shared the giveaway on my Pinterest page! I love crocheting, wish I had more time for it! I am already a liker of Kellie's FB page and will share on my timeline. I love both cardmaking and scrapbooking, so it's hard to pick between the two. shared giveaway on Facebook too! Liked your FB page. These stamps are open to many possibilities! I love rubber stamp carving, scrapbooking ( who doesnt), crocheting, and a little plushies making! Love your stamp so much! I love cardmaking and have just gotten into mixed media collaging. My favorite kind of crafts are the ones that I can do with my kids. I just have so much fun spending that time with them. oh, gosh, those stamps are so, so prettyyy. i could use them a lot! i just love doing jewelery/accessories. I mostly scrapbook, but I love making cards and home decor, too! Well, lately I seem to do more knitting and crocheting (gift season coming up), but I also love making cards. I shared and liked on FB!